Ever have an issue with the massive downloading of update from Kaspersky product? This is especially bad when you are stuck in a location where bandwidth is a concern since the update could well be over 100MB sometimes. But little do people know that there is in fact a way to update Kaspersky offline and this makes a lot of senses if you have more than 1 PC requiring the same update. 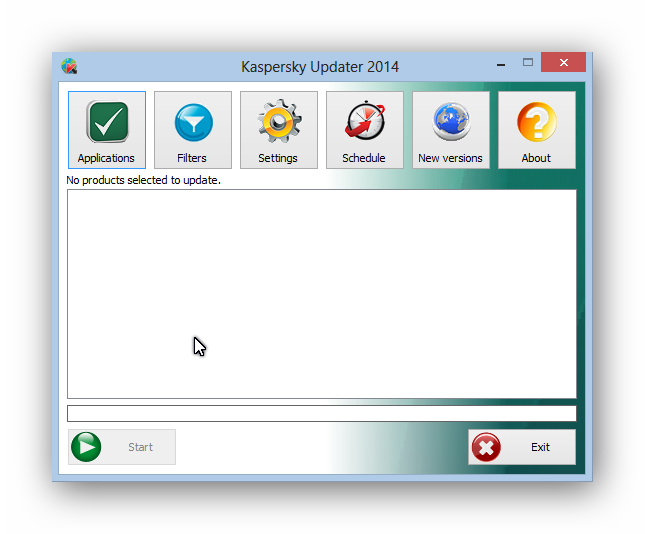 Today, let's take a look at a BETA product from Kaspersky themselves call Kaspersky Updater 2014 for Windows. This is quite a straight forward program. Just download the archive, extract it and run the updater. This is what you will see. 1. Select Applications. Choose the EXACT version you are using because the updates are different. 2. Select Settings. Choose whether you want just signatures or modules updates as well. 3. Just Update it then. This end the part the updater has to do. 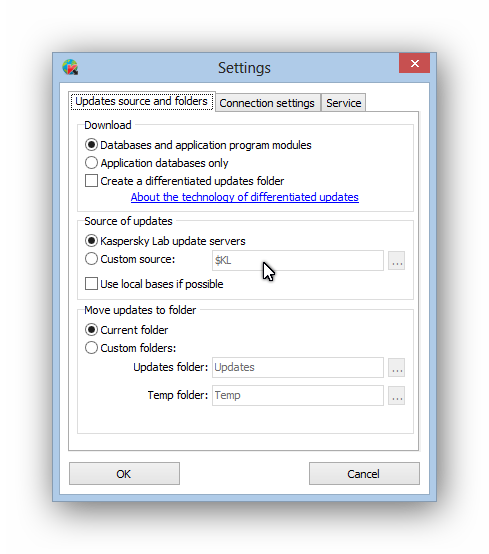 The rest is about configuring your Kaspersky product to take in the update. In general, this is the instructions, but may varies slightly from version to versions. 1. Open your product settings and look for Update. 2. There should be a update source option, select it and point it to the directory you downloaded the update from. It could be in temp under the updater and so on.